Are you looking for Honda cars out there yet unsure which is your desired one? Lazy to drag yourself out to car showroom to check it out? Why not just head into - CarSifu - without dragging yourself out? 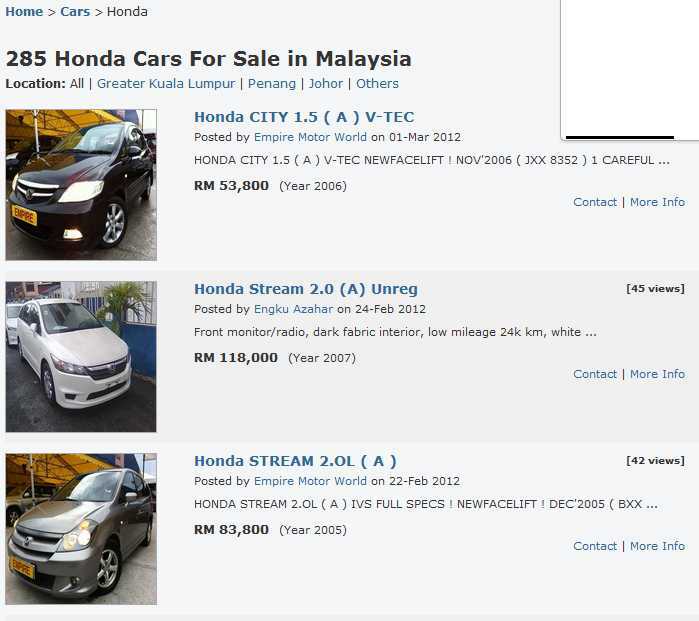 This Malaysia's leading car classified website allowed car dealers to start placing car for sale advert for FREE! 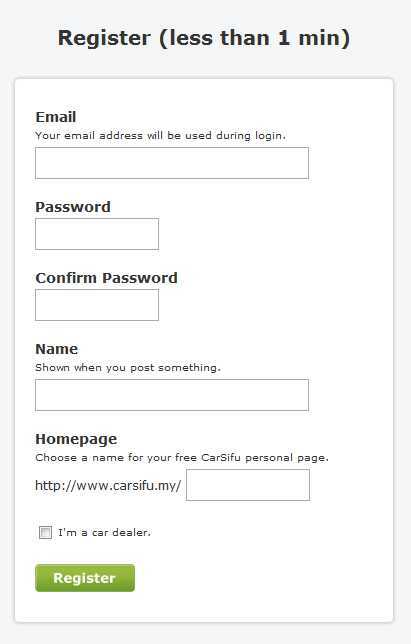 with just few simple steps of account registration. What you need to do is just drag your mouse and click onto the "Register" tab and start filling few simple details of yours. Not to mentioned about the simple and user friendly interface of the website make it ease for everyone to browse for their desired cars. If you're looking for Honda cars, be it new cars or used cars, you could just click into your desired model of cars and it will brings you to the whole list of Honda cars. At here, you can start browsing for your desired car that available on different states other than Kuala Lumpur. Each cars posted on the page completed with the model name, brief description as well as the pricing. 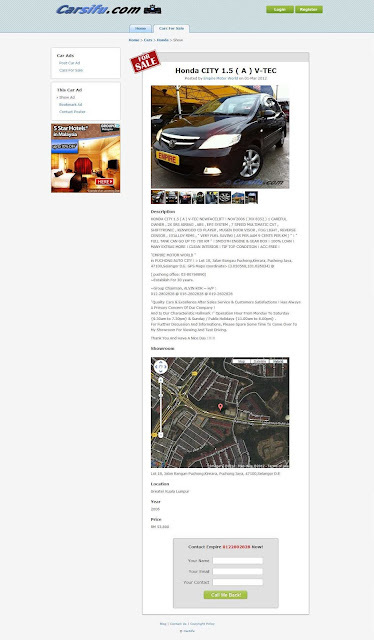 You can always click into it in order to get to know more detail about the car. What I like about this website is definitely about the details of each car they inserted for user to refer before buying their desired car. 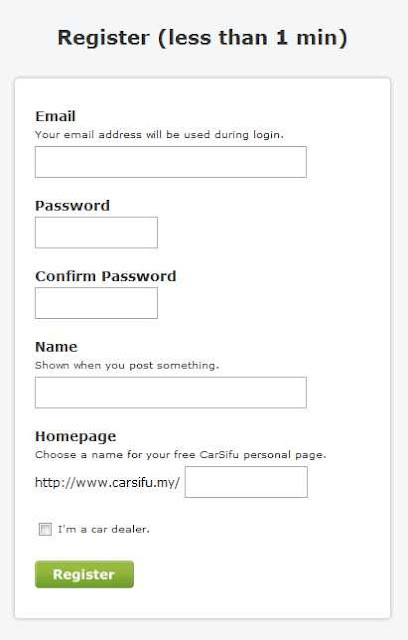 Once you clicked into the car you would like to look into, it will show you the full description of the car, whether it is new or used, and you can always fill in your details if you would like to contact the car dealer to get to know more about the car before buying it. 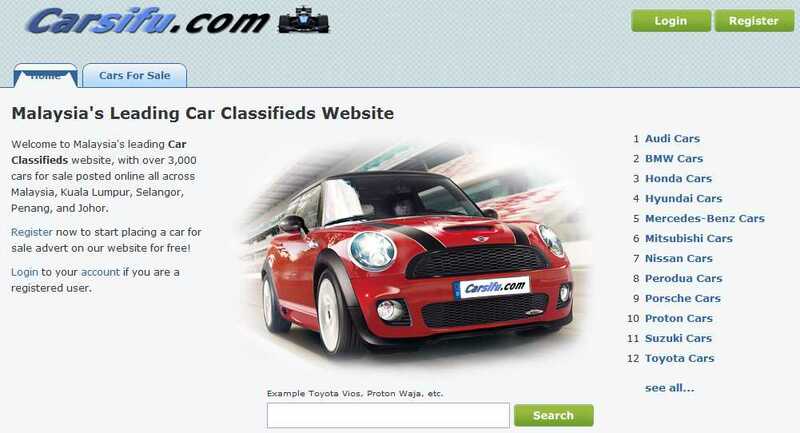 This website indeed useful for both car dealers and car buyer in just few clicks away!